Here are 4 best Windows 8 posts selected from the last week’s reviewed ones. Most of the posts are Windows 8 how to or you can Windows 8 tutorials. Yupp..you read it right. The Microsoft’s Windows 8 is very much unique and new in every way hence you need to learn the basics before you start accessing Windows 8 in real-time. We have been providing almost all the possible info about Windows 8 to help new users to work efficiently in Windows 8. Let me quickly inform you, the next big release of Windows 8 will provide three different editions – Home Edition, Business, and Windows RT. You can read more about Windows 8 editions. Now, no more other talks, let me quickly jot down the Windows 8 posts that I found the best from among the last week’s reviewed ones. I found this Windows 8 feature very much like the four-digit ATM/Debit card PIN code. A PIN is quick, and convenient way to sign-in to Windows 8 PC by using a 4-digit code. A complete tutorial has been given on how to login Windows 8 using a PIN instead of a Password. Read the entire post on here. This is a very important step to troubleshoot PC to restart in a rather safe mode. You are required to secure all important and personal documents but if your system doesn’t starts, then you are not able to access command prompt else it might be affected from some malware or adware. For this, we have brought you a step-by-step tutorial on how to enable safe mode in Windows 8. Read the entire post on Safe Mode In Windows 8. This is another nice feature that made me continue working at Windows 8 OS. Although, its not necessary to delete Windows 8 application history, however, the option is available in Windows 8 for the sake of any problematic purpose. 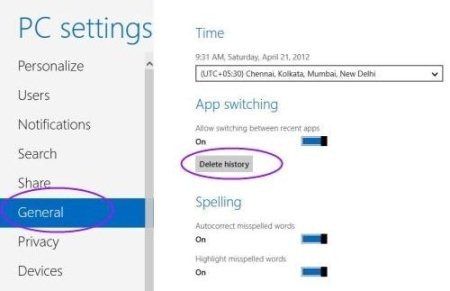 Read the entire tutorial on how to delete application history in Windows 8. This is is very much similar to how we do it in Windows 7, or Windows Vista. Yuppp…to restart Windows Explorer in Windows 8 is just the same as you know. When you install a software or a program; or open registry hack, system makes you restart the Windows. However, if you do not restart it, then installation procedure does not proceed with further steps. 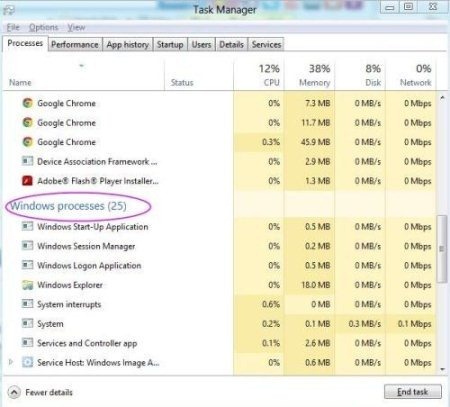 This tutorial guides you with the process to restart Windows 8 Explorer by using the new Windows 8 task manager. Read the entire post here.